Station naming, or increased advertising sales, would help Metro's budget to some degree — but would be far from a silver bullet. WASHINGTON — Metro is not yet ready to sell station naming rights but most board members seem open to it if the price is right — and if there are limitations to what station names might be. “The name change sounds really good until this happens: What if the Trump Organization offers us $10 million to rename Federal Triangle ‘The Trump Metro Stop at the Trump Hotel’? Or how about ‘The Trump Hotel Metro Stop’?” D.C. councilmember and Metro Board Chairman Jack Evans asked reporters after the board’s committee meetings Thursday. Metro is not allowed to reject advertising deals based on judgments about an individual or company unless it is based on content-neutral policies. 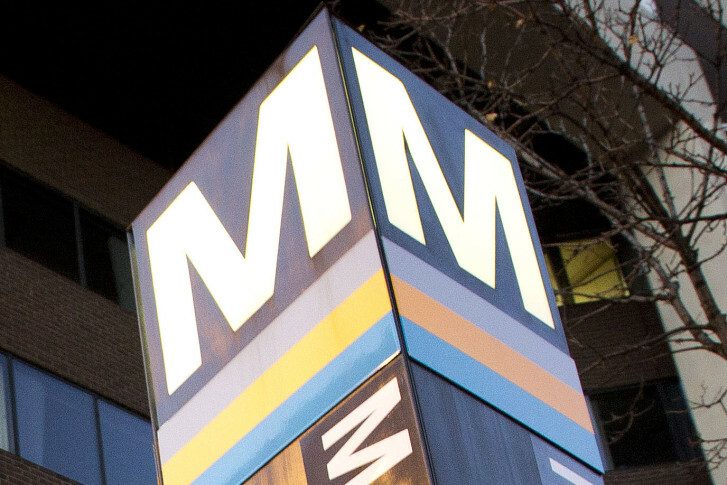 For several years, Metro has banned any issue-based or advocacy advertising in an effort to avoid controversy but that has prompted a series of lawsuits. Station naming or increased advertising sales would help Metro’s budget to some degree, but would be far from a silver bullet. Evans recalled years ago that there was a heated debate about whether to mar the Metro system with ads wrapped around buses. “And it didn’t help, at the end of the day — we’re still out of money,” he said. Metro staff had hoped to move forward with a valuation of station naming rights this month but a Metro Board committee Thursday instead directed that the agency draw up a draft policy for selling station names for review in September. If the policy is approved, the agency could then figure out how much money it could bring in from naming rights deals. Even what constitutes a station-naming deal seemed to be an area of potential disagreement with the board. “I want to encourage you to be even more aggressive,” Maryland’s Michael Goldman told General Manager Paul Wiedefeld. Goldman would like to see the names of entire rail or bus lines sold off, or other variations. “Because what we’re trying to do is avoid fare increases, or to the extent that a year and a half from now there is going to be a fare increase that we can reduce the amount,” Goldman said. Montgomery County’s Kathy Porter opposes seemingly random new station names, as was the case in Philadelphia when the subway station near its stadium complex was renamed from Pattison Avenue to AT&T Station. Porter would prefer limiting any station naming deals to organizations that are close to that station, and in most cases would simply like to see that group added to the existing name. Porter suggested, for example, that the Nationals could pay to identify the “ballpark” already in the Navy Yard station’s official name, or Montgomery County hospitals might pay to be identified with specific stops. Metro is desperate though and scraping the bottom of the barrel for cash, said D.C. Metro Board Member Tom Bulger. “I saw a bus yesterday with a wrap for a plumbing company advertising sewage, OK? So we’re already doing some controversial things … and we’re wrapping buses that look kind of awful in my opinion,” he said. In Philadelphia, SEPTA’s station naming deals have been for about $1 million per year. Metro staff estimates that simply changing the signage and other pieces of the Metro system to reflect a new station name would cost nearly $1 million, which would be covered as part of any deal in addition to sponsorship costs. If multiple stations are renamed at the same time or if the new station names launch in conjunction with the second phase of the Silver Line due to open in 2020, then the additional costs would either be split or dramatically reduced. Metro will need to roll out new signs, maps and announcements across the system when the Silver Line to Dulles Airport and Loudoun County opens, whether there are additional station name changes or not.